LEITNER building new 3S TRICABLE ROPEWAY! Having successfully constructed the first tricable system in Italy, the Rittner Bahn in Bolzano, LEITNER has now been awarded a contract to build another 3S ropeway, “LES PRODAINS” in Avoriaz, France. The ropeway will serve as the main link connecting Morzine and Avoriaz and will be used by skiers as well as tourists traveling to and from Avoriaz. It will therefore function as both a winter sports lift and an innovative means of urban transportation. 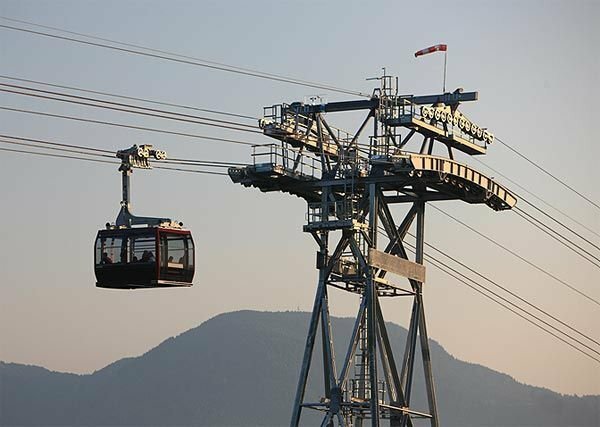 In order to meet these special requirements, the tricable gondola lift will be in operation from 7:00 a.m. to 11:00 p.m. daily during the winter, with flexible operation possible during off-peak times, depending on demand. When the first stage of construction is complete, the system will consist of 12 cabins, each able to carry 35 people, traveling at a speed of 7 meters per second and transporting up to 2000 passengers per hour. Tourists will also be able to use the LEITNER 3S ropeway to reach Avoriaz during the summer. The second stage of construction, which will increase capacity to 2400 passengers per hour, is already in the planning phase. The new 3S system, which replaces the aging aerial ropeway currently in use that has a capacity of 450 people per hour, should begin operations by around Christmas, 2012. LEITNER ropeways is proud to be working on this significant project, which is also the start of serial production of the 3S system. For more information, please visit www.leitner-lifts.com.